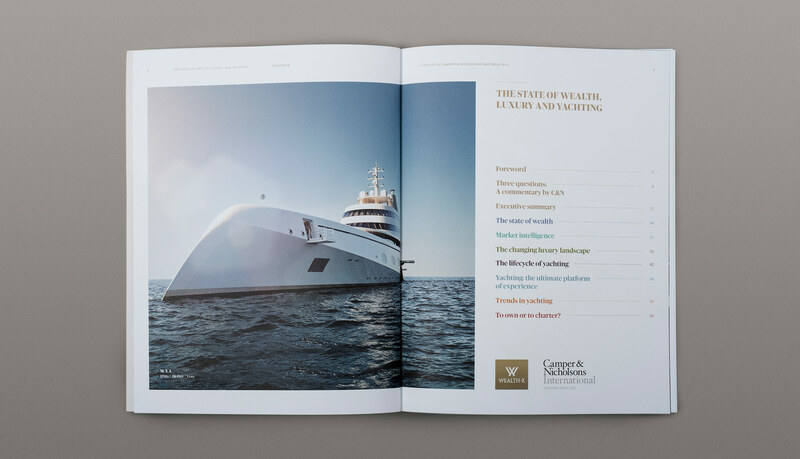 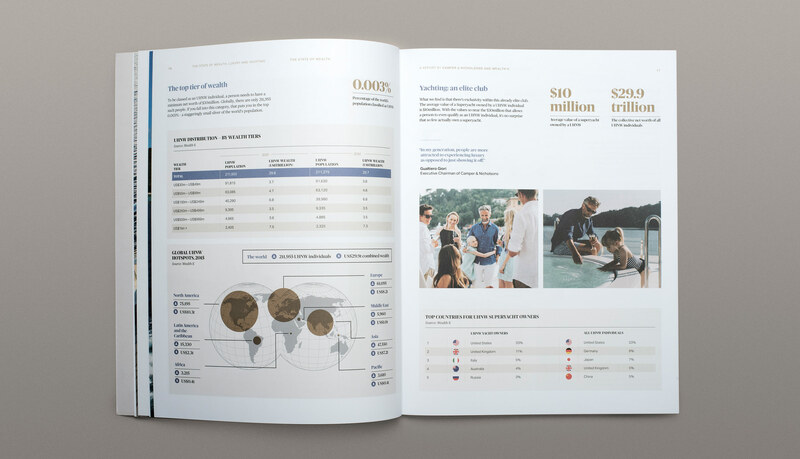 Camper & Nicholsons International, the world’s leader in luxury yachting services, teamed up with wealth intelligence specialist, Wealth-X, to produce “The State of Wealth, Luxury and Yachting”. 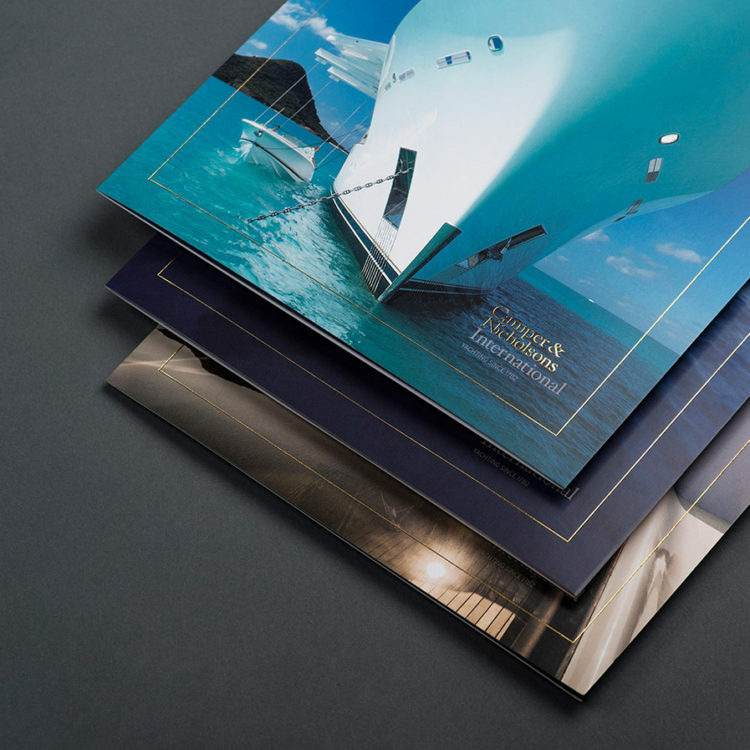 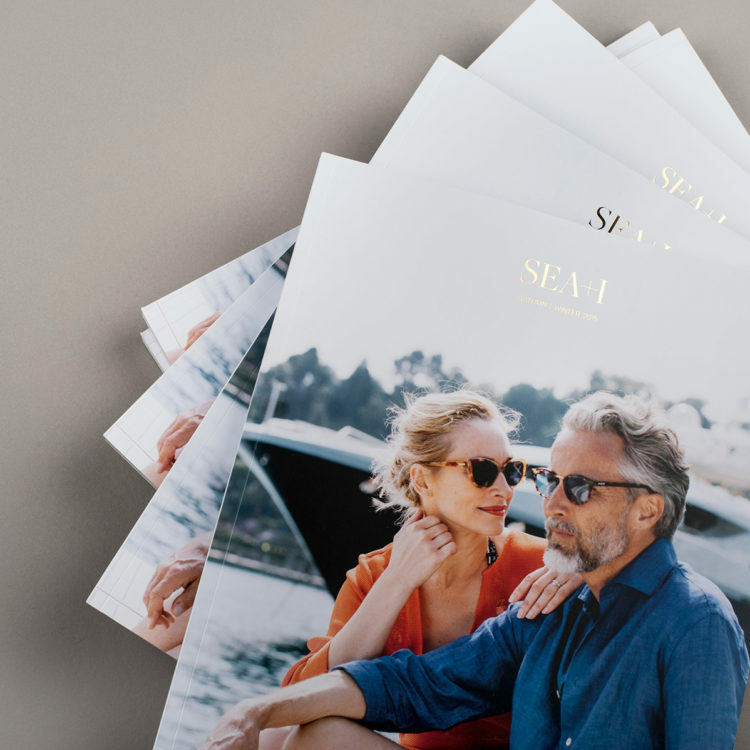 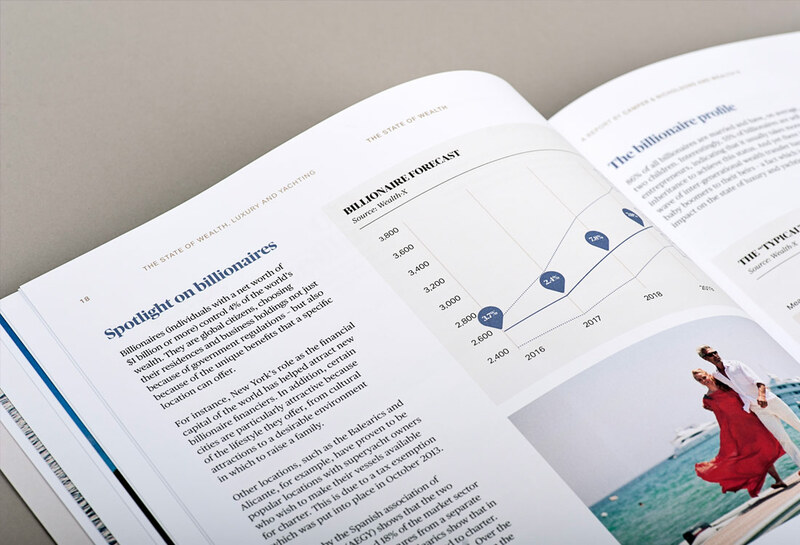 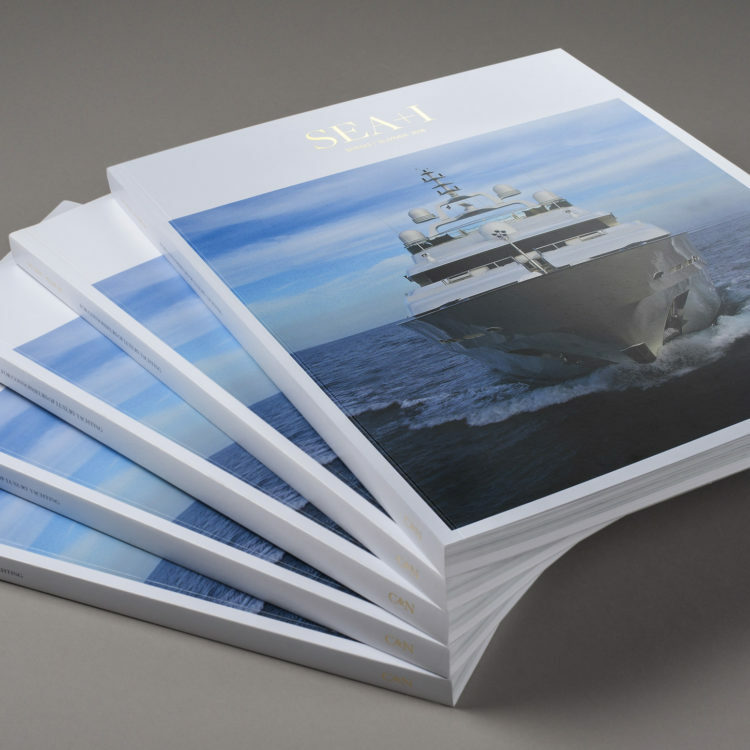 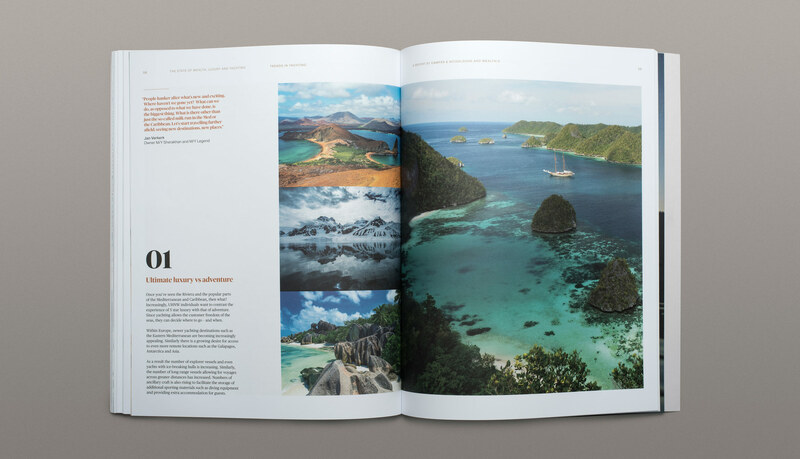 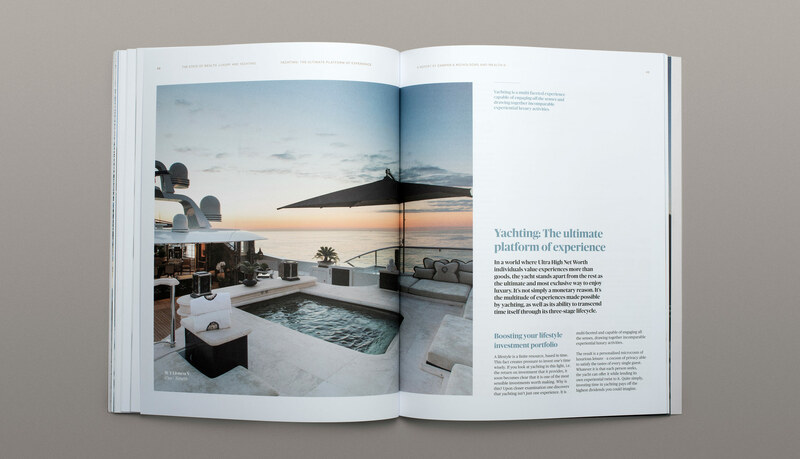 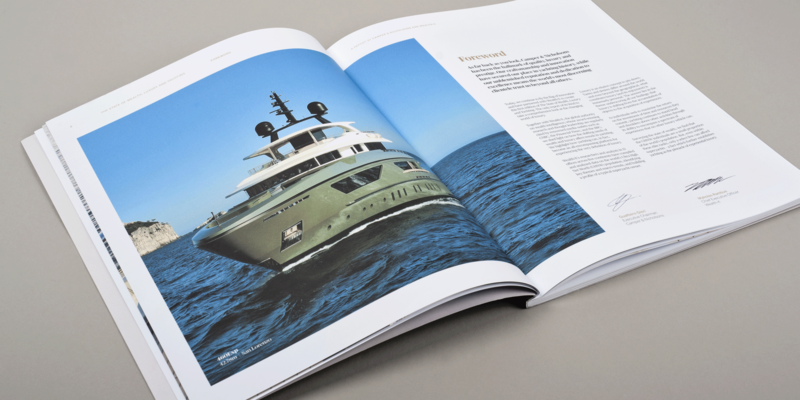 The publication was produced for their client base to shed light on how the shifting state of wealth and luxury affects trends in yachting. 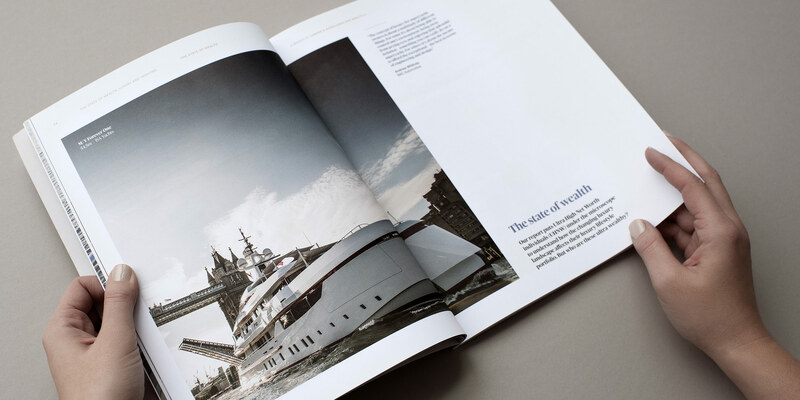 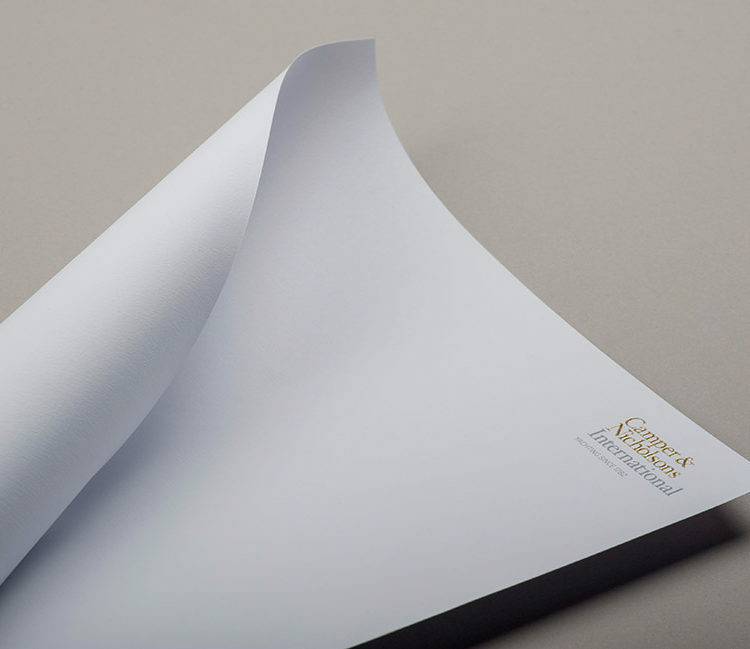 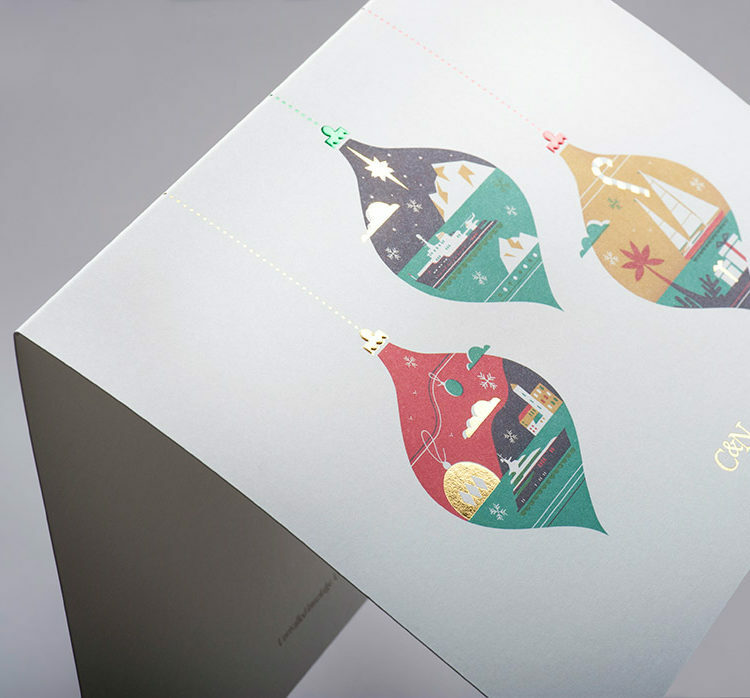 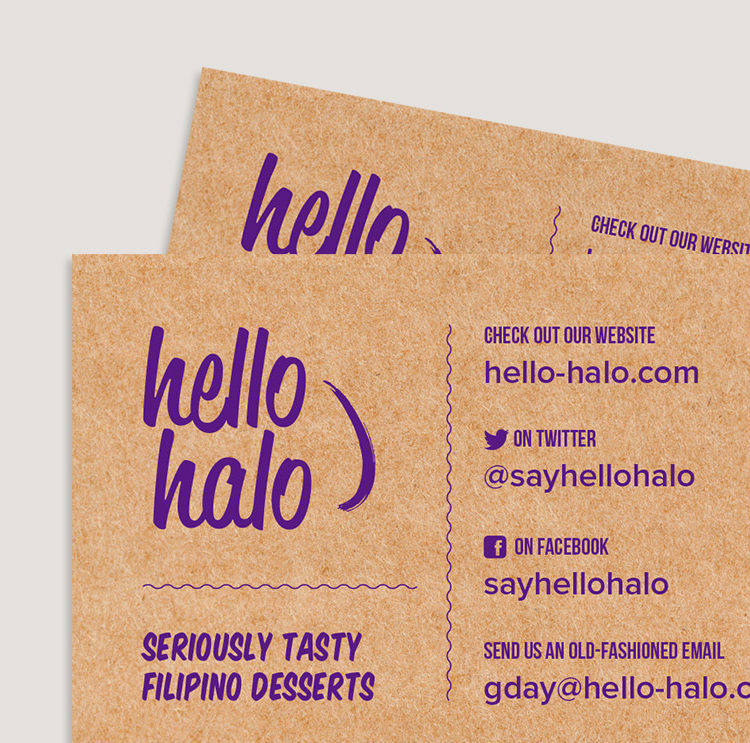 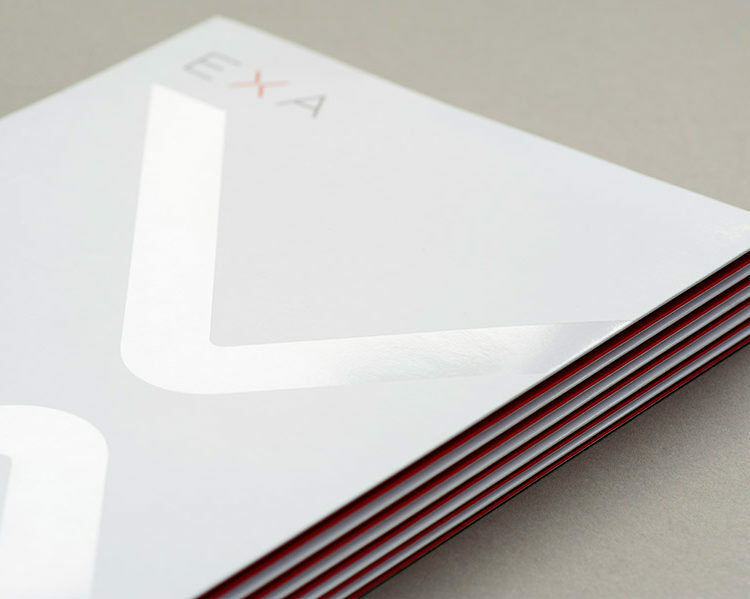 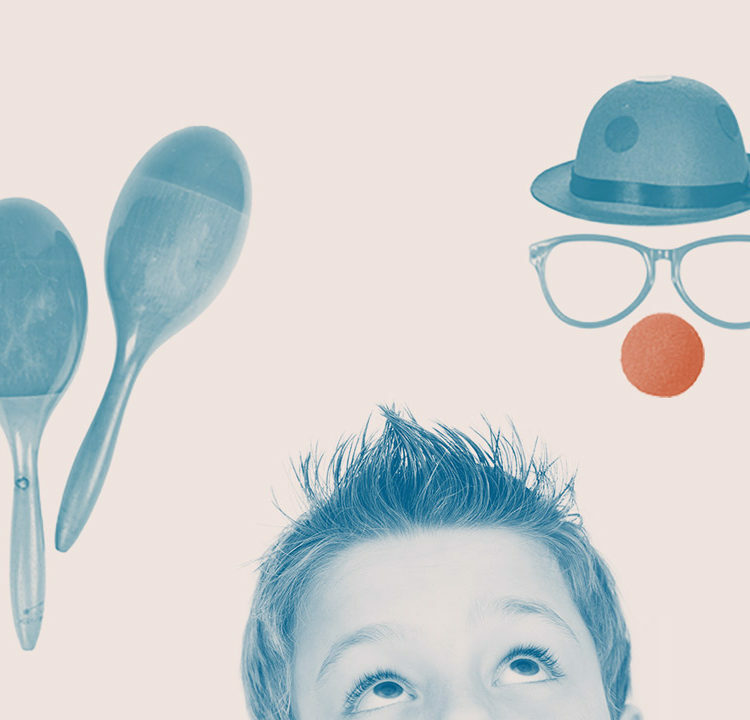 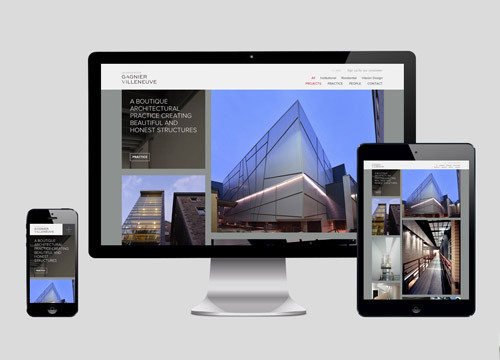 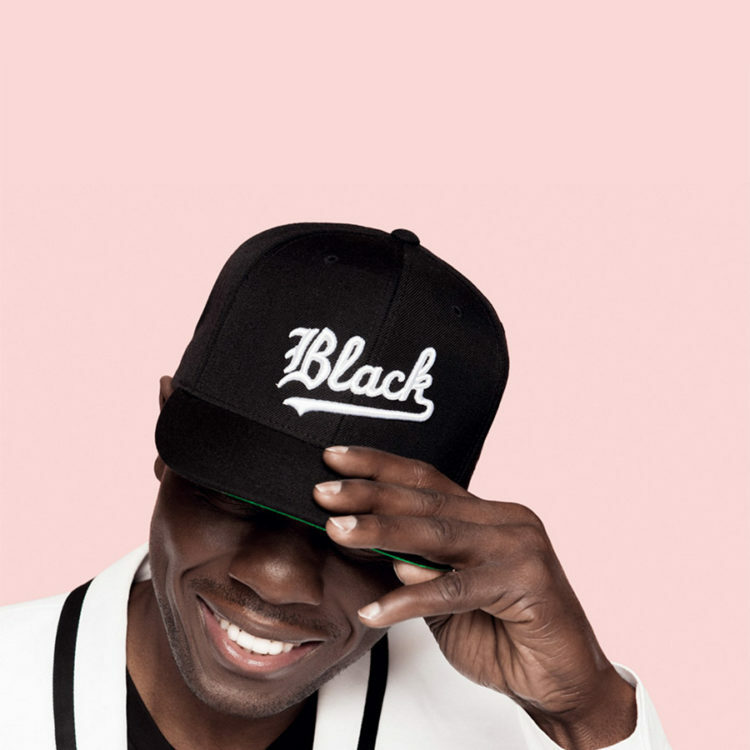 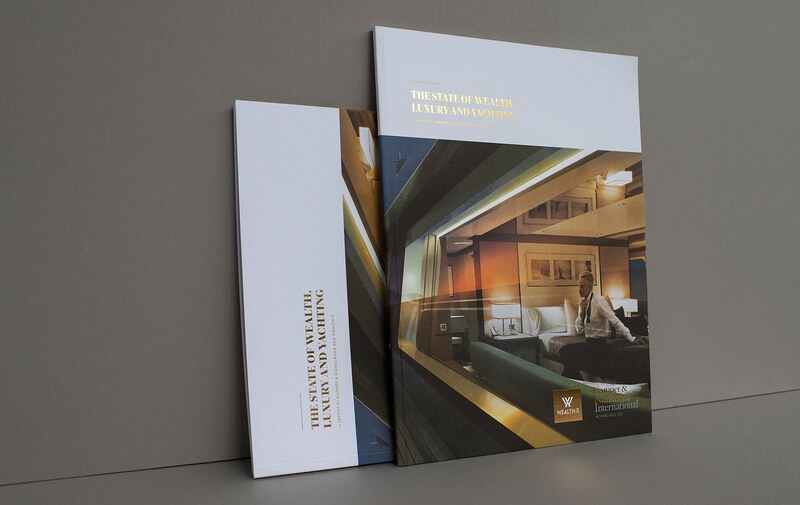 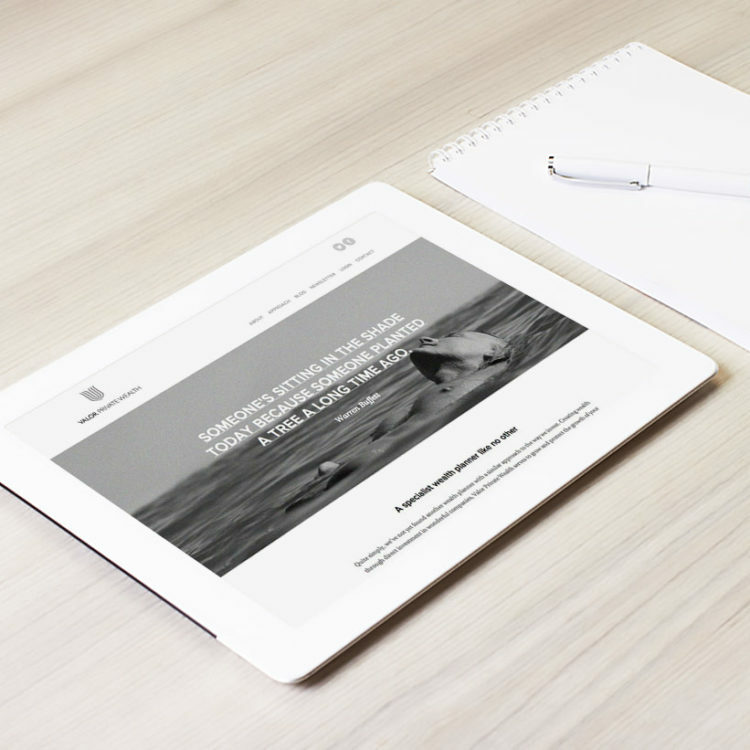 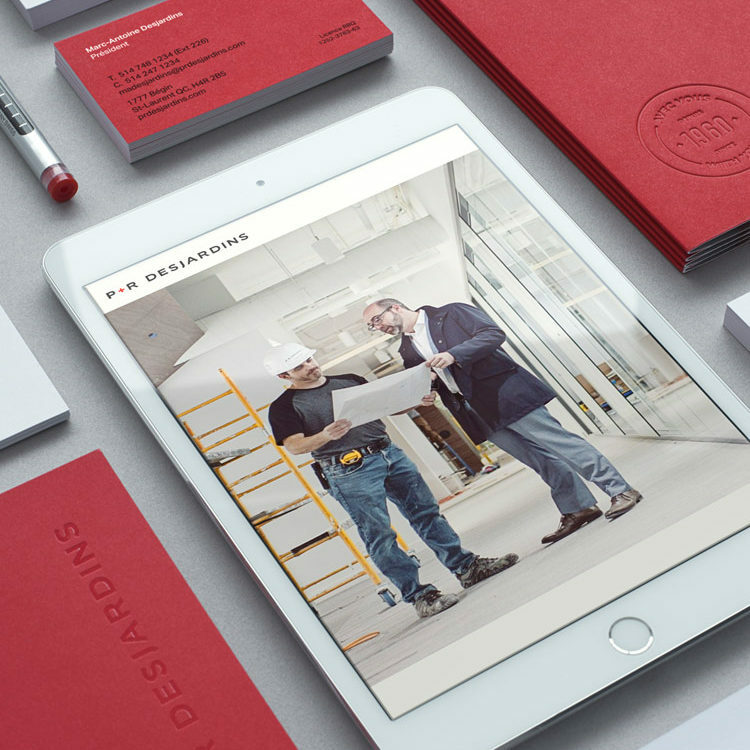 Helm collaborated with London studio Your Brand Matters to design the report. 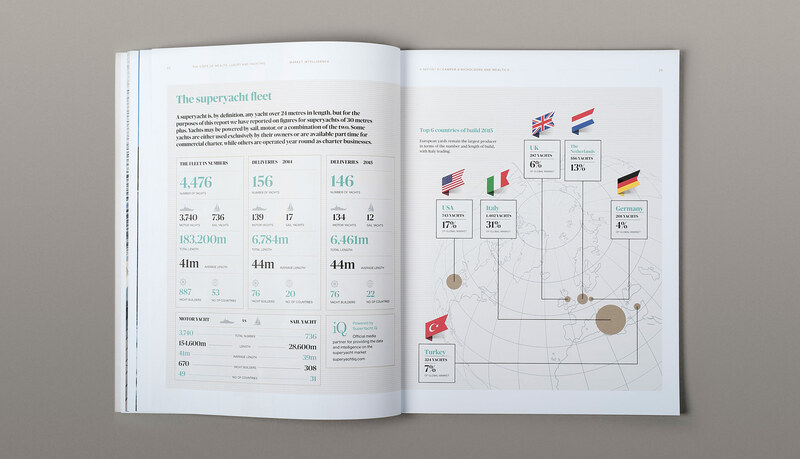 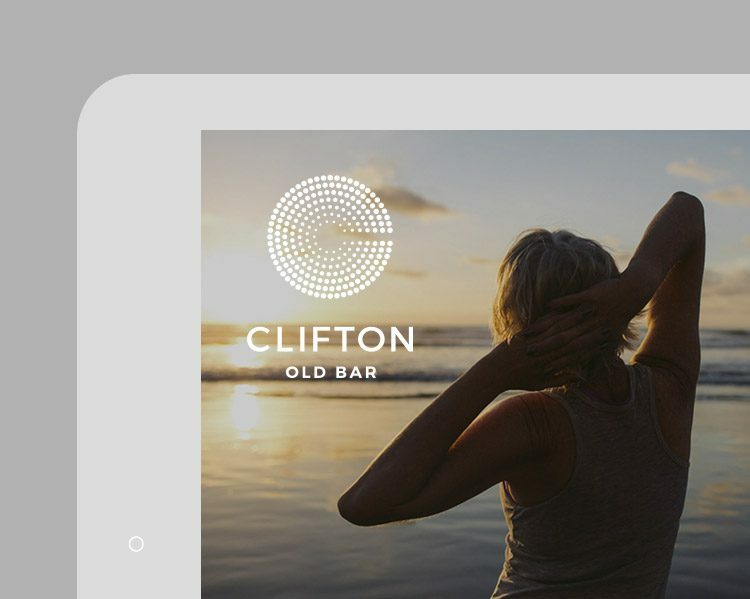 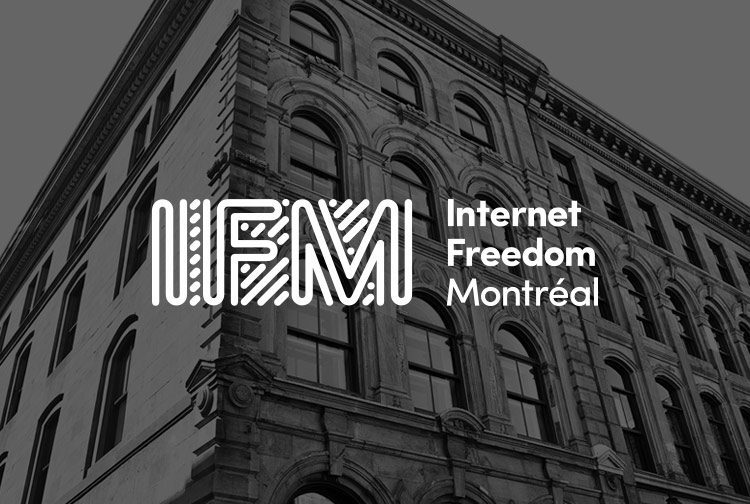 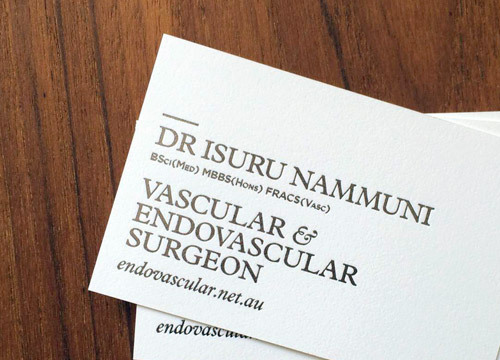 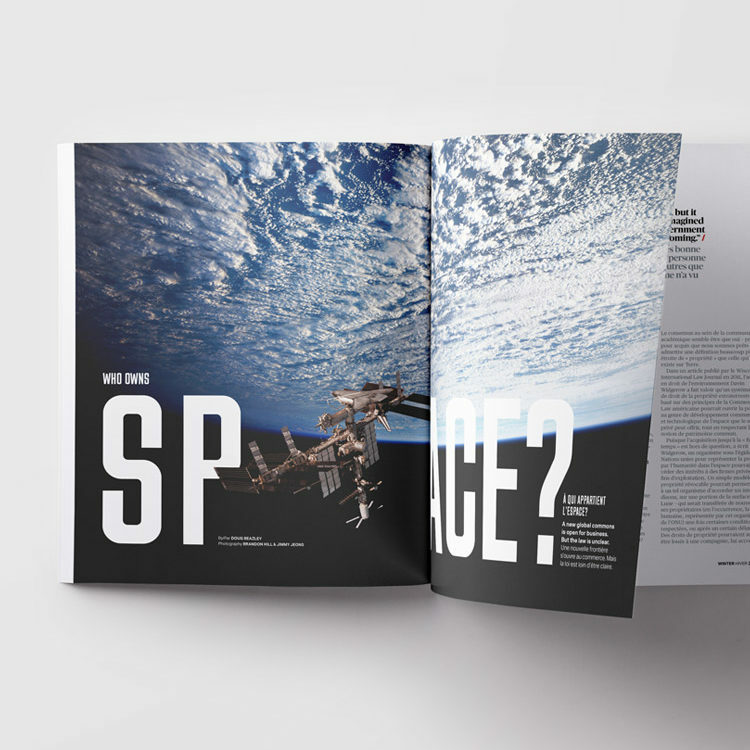 Employing a more editorial approach, we balanced evocative imagery and carefully crafted typography, and created elegant and engaging infographics to make the data more accessible. 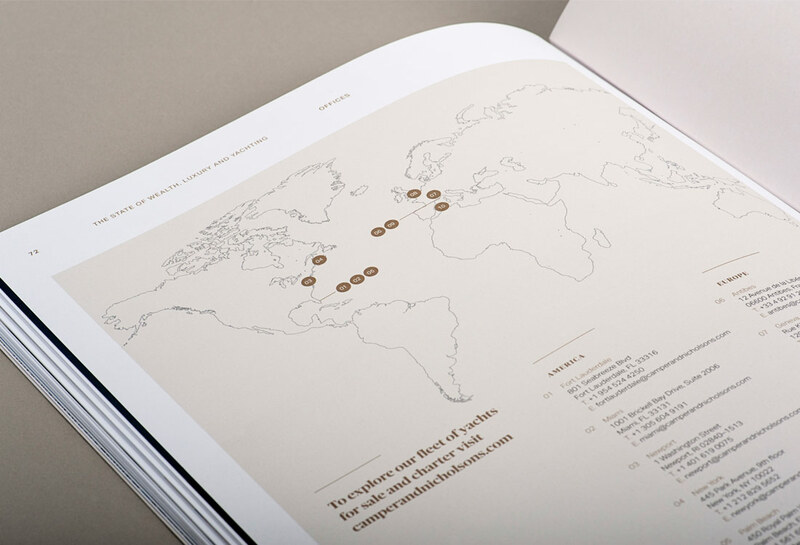 All of this elevated the look and feel beyond that normally associated with reports of this nature. 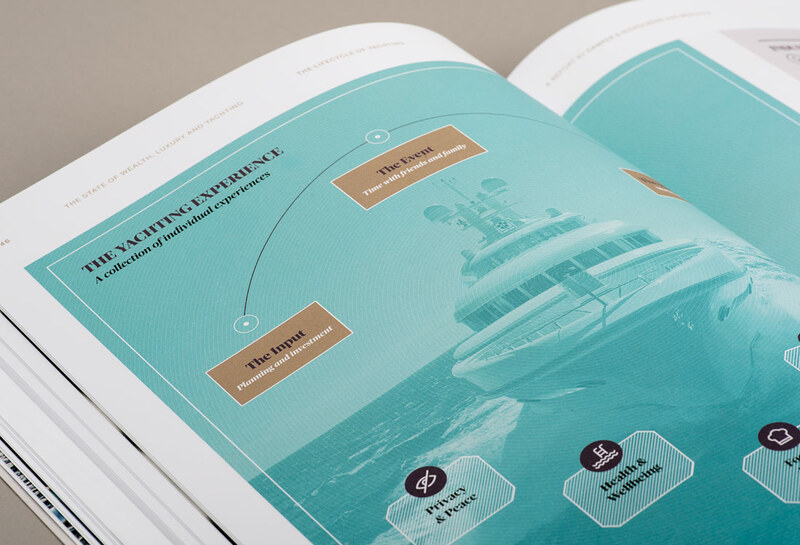 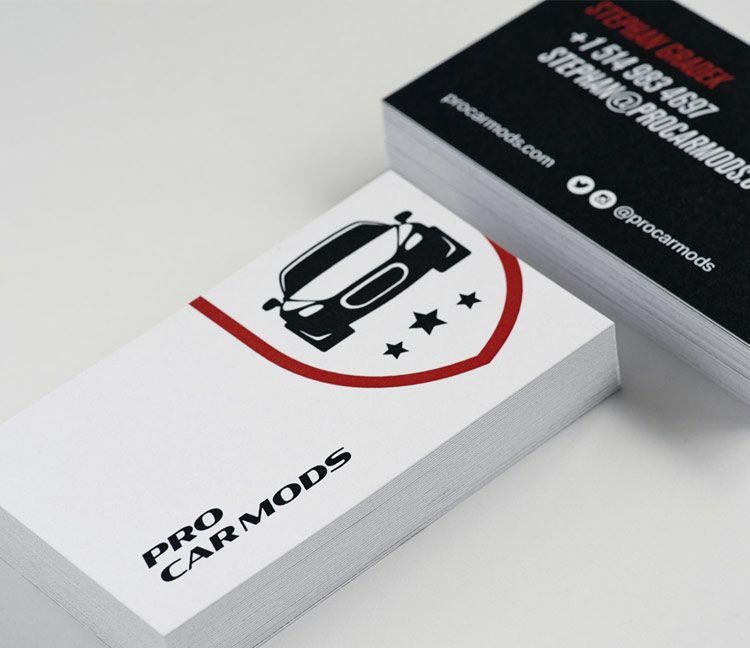 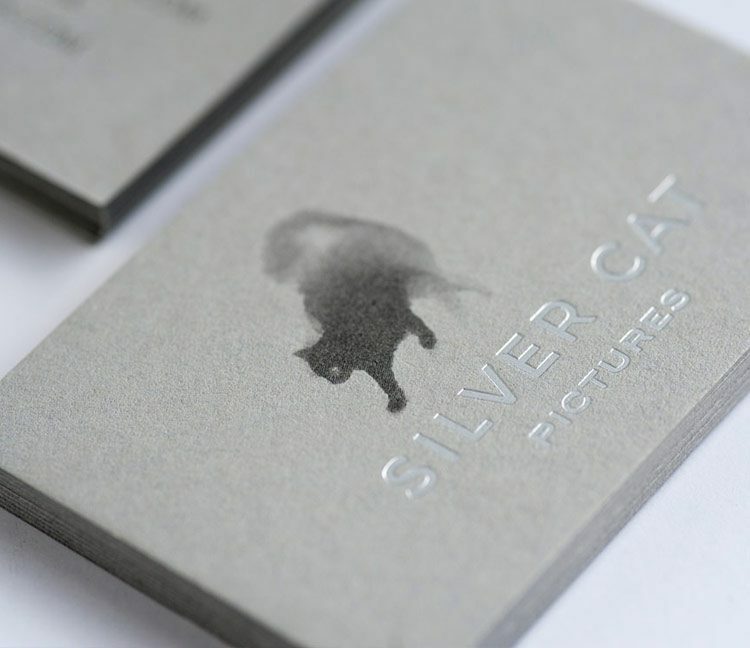 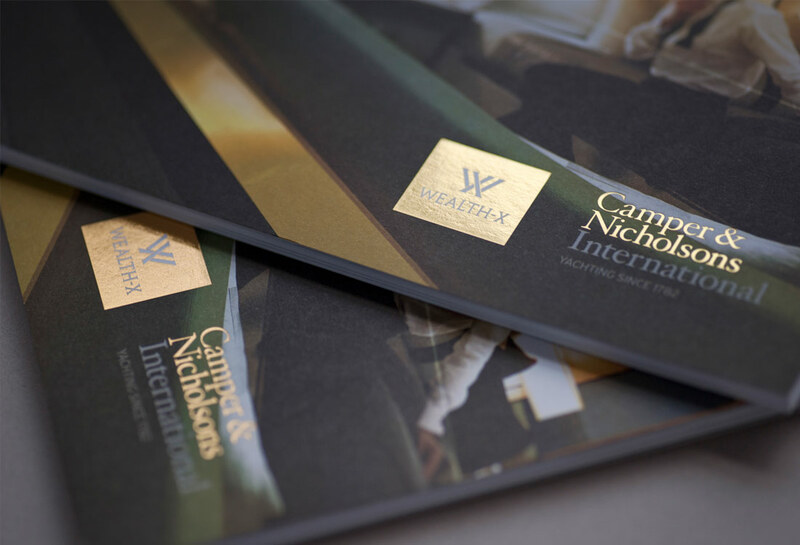 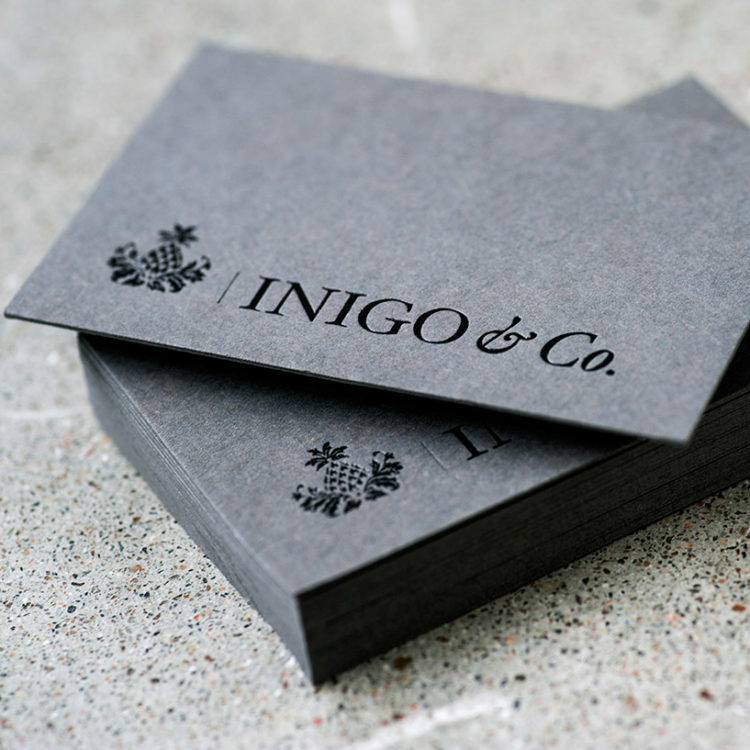 The time sensitive nature of the data required the report to be produced quickly on approval; this was achieved by offset printing and foiling of covers in advance, with text digitally printed and bound for simultaneous delivery into London and New York.